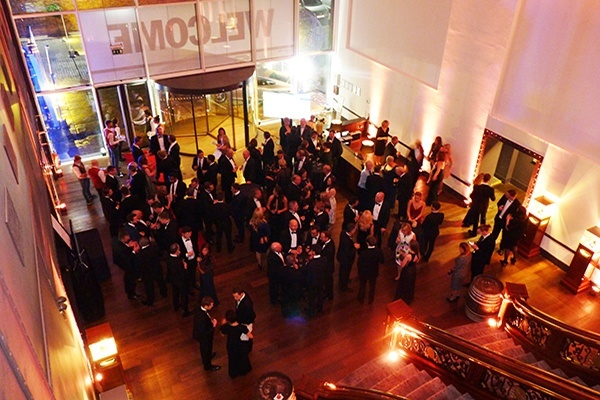 Our client a leading luxury car & racing brand asked us to create an immersive awards evening and gala dinner. The event would celebrate the best moments of the years racing season, provide a platform to introduce new vehicle developments and act as a platform to launch their newest model of one of their high profile vehicles. Refresh and renew this longstanding event and support in the resistance to change from attendees and stakeholders. With multiple messages to communicate from a number of internal stakeholders, we must develop a seamless attendee journey that delivered key messages in a fluent manner. Historically the awards had been held in traditional style hotel venues. In order to meet the brief we selected the Titanic in Liverpool. 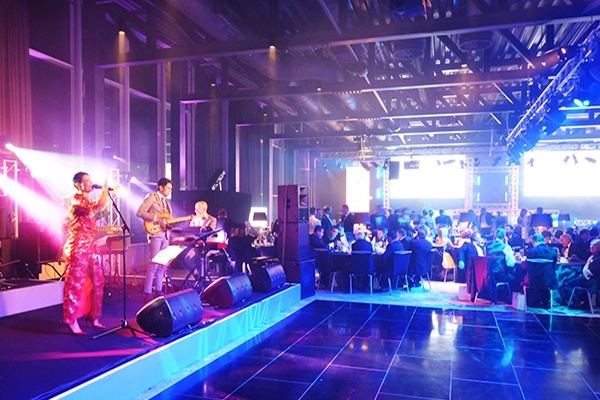 By utilising the industrial features of the building and the surrounding architecture we were able to transform the look and feel of the event. Outside the venue we projected highlights from the racing season onto the façade of an adjacent derelict dock building. This captured the attention of the attendees on arrival, delivering multiple objectives, by highlighting the successes of the season and highlighting the brand in an inspiring manner. Internally we kept in mind the importance of delivering key messages in a clear and impactful manner. Utilising scaffold and rigging to build set structures and carefully designed AV, we allowed the luxury vehicles and branding to create a juxtaposition against the rugged background.